Get immediate protection from erosion due to rain drop impact and wind. It provides long-term control of erosion at a low cost compared to other methods. 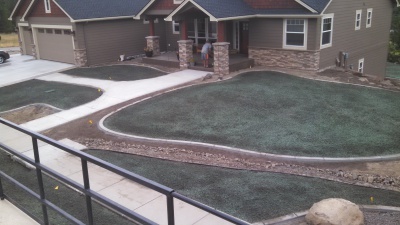 Hydroseeding is a low cost alternative to sod. The process is fast, efficient, and economical. It can be used for residential and commercial applications. Make sure your lawn starts out strong with the right fertilizer at the right time. Fertilizer application is vital to getting a lush, green hydroseeded lawn. Add*A*Lawn Quality Hydroseeding has sprayed over 7,200 lawns and has the capacity to hydroseed 14 - 16 acres per day. 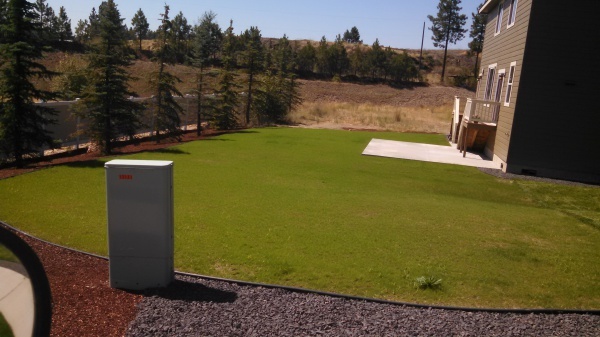 Add*A*Lawn Quality Hydroseeding, based in Spokane, WA, has been in business since 1998 and is locally owned and operated. For price quotes or more information please contact us at (509) 926-8900. 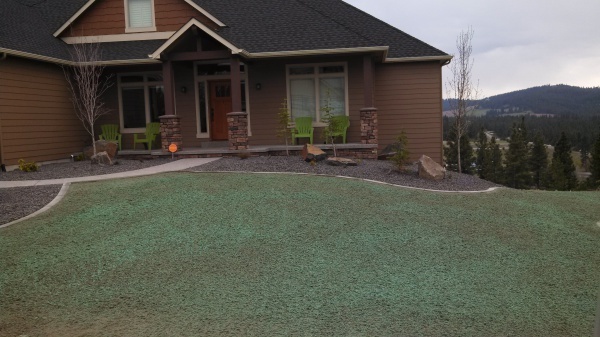 Hydroseeding is a low cost alternative to sod. Grass seed, mulch, fertalizer and water are mixed in the tank of our hydroseeding truck, then sprayed onto the prepared ground. The fibers surround the seed and keep it close to the ground where it is insulated from sun scorch, protected from washing away and birds. The process is fast, efficient, and economical. This grass planting process is more effective than conventional seeding and more economical than sod. 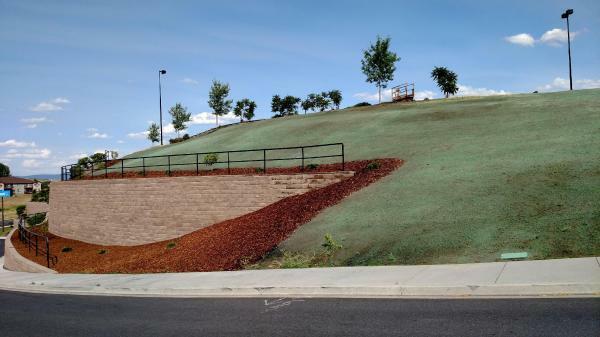 Hydroseeding can be used for residential and commercial applications or for erosion control. The lawn quality that hydroseeding affords is much healthier, greener and longer lasting than sodding or hand seeding applications because the root establishment is deeper into the soil and avoids the shock of being transplanted into foreign soils.